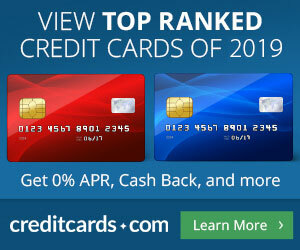 The US Air "new’ 50k credit card offer – An Investigation Sherlock Holmes would be proud! Well, the story goes like this. There has been a non affiliate US credit card offer with 40k signing bonus for a long time, with annual fee waived in the first year and 10k at one year anniversary. It was churnable too! It was supposed to be good for Chairmans Preferred Members only but always worked for eveyone. Most affiliate links out there were much worse than this non affiliate offer. To the bloggers’ credit, I did not see the subpar offer much at all, thankfully! And then, bang, suddenly the offer out just now changed to offer (still) 40k after first use, 10k for a balance transfer (makes me puke), NO 10k at anniversary AND $89 annual fee! So…I did an experiment and started logging to see which blogger was first out of the gates to let the world know about the amazing new 50k offer. Showing 50k in the title is BAD, 50k in the body of the post is bad, no mention of 50k at all is GREAT, no mention of $$ disclosure in the body is BAD, tell everyone to AVOID the 10k transfer is GREAT, pointing to the better offer is GREAT…etc. Just Another Points Traveler [this is part of a weekly summary so I am not sure if it even counts:-) No 50k, no disclosure] Subliminal message to the guy who emailed me that I never burn good friends, here is proof. The TBB Editorial board is beyond influencing, lol. I think the others saw me on Twitter that I am on this case and went into…hiding, lol. You can run but you can not hide. NBA player Rasheed Wallace has a saying “Ball don’t lie”. TBB says “Google Reader don’t lie”! A kind commenter said the following which amazingly I could have said myself! Thank you for allowing me to repost here with your permission! Again, I really don’t see any problem with having a link to a credit card. I appreciate when there’s appropriate disclosure about financial relationships. But to claim that this is a better offer than was available before shows either that the blogger is dishonest or not really that much of an expert on the subject. Because there’s long been a 40k after first purchase offer. And then if the blogger pitches it as a 50k offer that’s disingenuous. THAT is pimping. Lots of credit card content is fine, analyzing the offers is great, offering a novel perspective is useful. And sometimes there will be duplication across blogs talking on the same thing. I’m fine with that. But what absolutely drives me bonkers is pitching a card as better than it is. Reasonable people can even disagree on the value of a card, but please don’t call a US Airways credit card that gives you 40,000 miles up front and 10,000 more miles for a balance transfer “a 50,000 mile signup bonus.” IT ISN’T. Yes this one did make me chuckle. I am shocked you have no mention of your good friend Delta Points who had the balls to pimp the really crappy offer previously. Oh him and that Moustache guy who all the whiners thought was their hero because Chase kicked him out and he bitched and moaned about it. I’m kind of done on the CC thing, if people are dopey enough to not be able to work it out for themselves they don’t deserve help, disclosure or anything else. Oh and the BT offer is not that bad. 12 months at 3% is pretty good especially when you are essentially rebated 1-2% in points. Again if you are stupid enough to just use it to dive into debt, tough love on you. George you can’t save the world from itself. People should take more responsibility for their own actions. I too am surprised you didn’t say anything about Delta Points mentioning the “new” offer. Honestly, the way he finds to slip in links that have nothing to do with Delta – so you can stay in this hotel for free while traveling on Delta!, etc – are pretty embarrassing. This is one of my favorite posts by TBB! Love the investigative work, and can tell it must have been time consuming. If I had the time I would have done something similar! @ Anonymous: He knows I am watching and am ready to fire lol. @ Frequent Miler: Yep, I agree on all counts. Thumbs up for Mommy Points too! i didnt bother reading any of the blog because i already have the card. It sickens me that they are pushing bad offers. i commented on delta points about her 77 dollars trip to GCM, but she didnt like what I wrote. well. i said she got her free trips because her post was to promote her links to earn money. using 35000 miles to GCM is not even a great deal when reveune fare is cheap. and buring UR points for hotels at 1.25c is not a great use. @ Anonymous: Get used to getting sick about this! I no longer comment on blogs that censor and DP is a censoring machine! I have to say, I’m just honored to the first to be made fun of in this post. TPG quietly listed it in his “top deals” page (which is really more a page listing all card, not his the top deals). Refers the US offer it as “up to 50K”. No mention of the better offer.